The former World No. 1 lost to Roberto Bautista Agut in five sets, in what could have been his last match in Melbourne. Five-time Australian Open finalist Andy Murray met Spain’s Roberto Bautista Agut in the fourth match on Melbourne Arena on Monday. Murray, who announced on Friday that this tournament may be his last due to a hip injury, lost to the No. 22 seed 6-4, 6-4, 6-7(5), 6-7(4), 6-2. From two sets down Murray forced a deciding set but it wasn’t enough as Bautista Agut wore down the Scot in the final set. The Spaniard held his serve to love to close out a memorable encounter after four hours and nine minutes. “Today was an incredible night, no? Andy deserves this atmosphere, Andy deserves all the people who came to watch him. It was an unbelievable match, really good fight,” Bautista Agut said during his on-court interview. 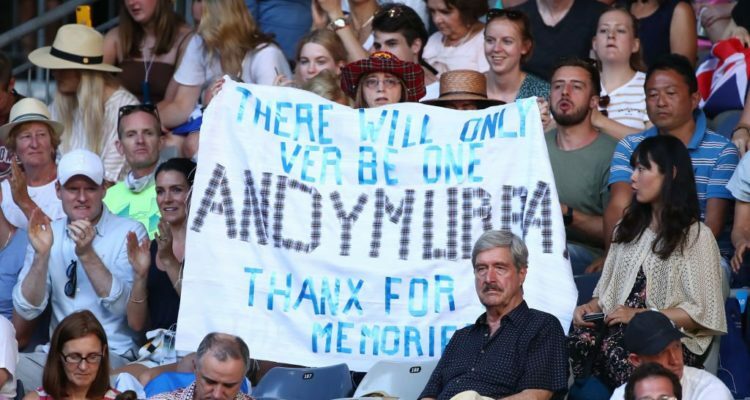 A montage of messages from Murray’s fellow pros on both the ATP Tour and WTA Tour was played out in the Melbourne Arena after the match. “I think I am going to be okay. It was incredible. Thank you so so much to everyone who came out tonight. I have loved playing here over the years,” Murray said. “If this was my last match then it was an amazing way to end. I gave literally everything I had. It wasn’t to be tonight. Congratulations to Roberto and his team. Murray announced that he would make a decision on hip resurfacing operation “in the next week or so”. “I have two options. One to take next four and a half months off and play Wimbledon. Having another operation no guarantees I could come back. It’s possible because some athletes have done it,” the 31-year-old said. This entry was posted in Australian Open, Grand Slam and tagged Andy Murray, Australian Open, Grand Slam.